Are you hearing strange noises in your attic at night? 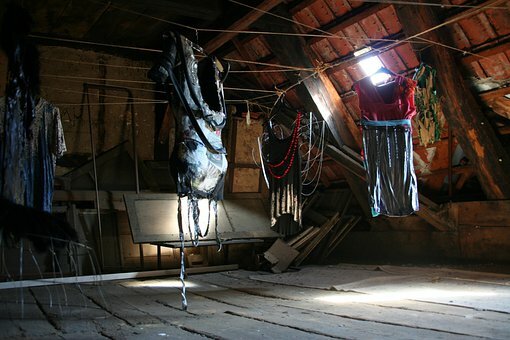 Are you really worried that something is living inside your attic? This may be a scary and concerning experience for homeowners, especially once you don’t know what the noise is or where it is coming from. For those who have been hearing strange noises in your attic or walls, especially at night, these are indications of a wildlife or rodent infestation. While you’re terrified on your bed, trying to get your rest; these creatures are throwing a party in your attic! They quickly make your house theirs; they’ll nest, mate, have babies, poop, pee, eat and then go to sleep peacefully. All while you are pulling your hair out trying to determine what to do. The kinds of noises you might be hearing can range from chewing vibrations, hard thumping, scratching or even worse; moans, cries and growling. Bats do not make as much noise, however you may hear very light, yet high pitched squeaking noises. If you’re hearing these sort of noises and you think that you have a wildlife infestation here are some pointers to help you out, so you know just what you need to do from here. First things first, you want to inspect your whole property and search for any entry points. This includes the roof top, soffit breaks, attic vents as well as under the home. If there are animals nesting in your attic, they have in there somehow, someway. With larger animals these stains will be simple to point out and you will clearly see the damage where they have been entering and exiting. But with smaller animals such as bats and rats, it could be more difficult to find these entry points. You’ll need to look for any and all holes that are larger than a quarter. Also with rats and bats you may see black marks around any entry points. Once you have found entry points, you’ll need to make the necessary repairs. Every home owner’s situation will be different; repairs may vary from simply patching a hole, all of the way to replacing an entire roof! After fixing any damage or access points, now is when you’ll have to trap and remove the animals. You can purchase live traps for larger animals and you can purchase rat traps for the rats. However, when it comes to bats, it’s highly suggested that you hire a licensed professional wildlife trapper to remove the bats, as there are strict laws and regulations in place to safeguard this important species. If you remove the bats incorrectly or at the wrong time of year, you can be hit with hefty fines. Thus, when it comes to bats please make certain to hire a professional animal removal firm. As soon as you’ve controlled the wildlife problem, cleaned the feces, disinfected the attic and replaced with your attic’s contaminated insulation, it’s important to carry out some follow up work to prevent the issue from happening again. Here are some suggestions: trim away all tree and bush branches that are near your home. Animals can stick to the branches to your roof . Remove all cat and dog food from outside after the animals are finished eating; as this is one of the greatest offenders to bring wildlife to your dwelling. Another culprit is the bird feeder, as rats and squirrels love the bird seed. Be certain that you have contaminated areas, such as your attic cleaned properly by professionals, as the odor of the stool, urine and nesting materials will re-attract other animals. If you have been hearing things in your loft, I hope you find this information helpful and I wish you luck in getting rid of your pest or pest problem.